I am a medium-bodied, well-aged, complex and somewhat spicy Wine Wench. I’m not afraid to talk about the “well—aged” part. 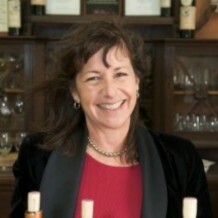 I’m going to be 52 in a couple of weeks (Gifts of wine and money are gratefully accepted – hint, hint) and the wine industry has been my career home for most of my life. The ‘ol wine biz has changed. A lot. My peers (other well-aged wine professionals) and I have been talking about this a lot lately. I’m going to go out on a limb here and say that we feel it’s becoming a bit ageist. It has always been a desirable industry to work in, because it’s fun, social and delicious, but it’s becoming crowded – there are more applicants than jobs in my beloved industry and jobs are harder to find than a bargain bottle of Screaming Eagle Cab. There are now wine business programs churning out young, shiny wine professionals who are willing to work for much less than well-seasoned professionals like my peers and me. Some of us become consultants (myself included), but many of us are up and leaving the biz or moving out of Sonoma/Napa to take jobs in other wine regions. It’s kind of sad. I’ve lived in Healdsburg on and off (now on – I’m back and loving it) for the past 30 years and I’ve seen lots of changes here too. Healdsburg has changed from a sleepy farm town with fun dive bars and a few neighboring wineries into a slick, shiny tourist Mecca. The streets of my hometown now teem with pods of well-heeled tourists. I don’t go into town on the weekends anymore, but I still love it here. It’s been a wild ride getting to my 50s, full of music, love, laughter, roller skating, wine, laughter, men, heartache, horses, work, wine, writing, judging, romance, wine, walking in the vineyards, pets, wine, friends, loss and did I mention wine? There’s been a lot of wine in my life and I suspect that there always will be. Speaking of wine, I’m back to reviewing wines on a somewhat weekly basis. My organic wine of the week is 2009 Château Bousquette Prestige. It is a lovely medium-bodied red from Saint Chinian (Languedoc) and it is absolutely delicious! Aromas of wildflowers and brambles, cherry and peppery spice blend seamlessly and continue as flavors in the silky-smooth mouth. It’s a bargain at $24.99 and available online at http://www.theorganicwinecompany.com.